More connected than any generation before them, Gen Zs are the new influencers, publishing every aspect of their lives. From Esports tournaments to makeup tutorials and brand reviews, teens are producing massive volumes of online content while building followings. These original content creators rely heavily on smartphones and streaming media platforms to provide the audio and visual experience needed to tell their stories effectively and reach their audience. It’s also a symbiotic relationship, streaming platforms need content creators to publish and build audiences, while the content creators need a seamless, high quality audio and video to engage their followers. Consumers are turning to the leading user generated video platforms like Facebook, YouTube, Vimeo, DailyMotion, Twitch, Vevo, Veoh, IGTV (from Instagram) and more. Viewers can tap into features that allow them to discover interesting creators and explore popular content. 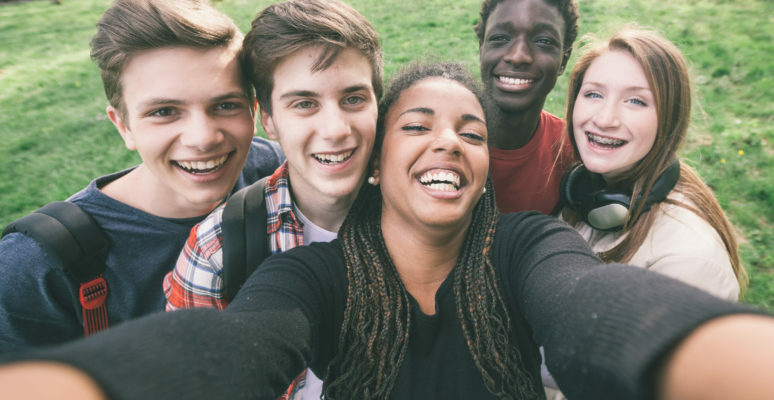 According to Common Sense Media, teens are spending an average of nine hours per day consuming content through the social video sharing platforms. With such a high consumption rate, it’s never been more important to level up the quality of streaming sound and video delivered to subscribers. All of these social video sharing platforms have their own unique set of feature benefits and limitations. As they’ve risen to popularity, many streaming video providers have focused on solving hurdles of video transmission, satisfying advertisers and improving UI for subscribers. As video streaming connections have improved over the past several years, improving audio quality has been a second thought, despite providing an indispensable part of the end user’s experience. This has led to subpar consistency of sound for viewers. With video quality now at a level that’s adequate for market consumption, it’s now time for a stronger focus on improving audio quality in streaming media. Videos capture the experiences that people want to share with friends, but viewers aren’t truly enjoying streaming content on these platforms the way that they could if loudness issues were better managed. Inconsistent loudness between programs on video streaming platforms weaken end user experiences. Annoying jumps and dips force viewers to either ride the volume manually, mute audio, or just exit the service. This inconsistency means the audio experience varies for viewers across the content they want to watch and the ads that make it possible to enjoy that content for free. Gaudio’s Sol Loudness SDK smooths variations in loudness, providing continuity of the perceived sound level between streaming content programs. The Sol Loudness SDK uses a unique architecture in which the server-side performs the loudness measurement and generates metadata that the client-side uses to normalize content to a target loudness setting. Other loudness management software solutions employ a legacy “file-based” approach, which is a pre-processing pipeline that destructively modifies the original content and typically produces distortion. Advantages to a server-client solution, like ours, include the opportunity to set loudness targets per platform, end-user device, or even listening environment. Video streaming platforms can leverage Gaudio’s loudness management software to provide a higher quality audio experience for viewers, leading to increased subscriber retention. Loudness management is central to the features that platforms need to provide as a growing number of consumers expect consistent audio quality across video streaming platforms. To learn more about Gaudio’s Sol Loudness SDK, including our licensing and pricing options, please contact us at support@gaudiolab.com.